Bring some sweetness into someone's life - literally - with our mouth-watering Fruit Basket! 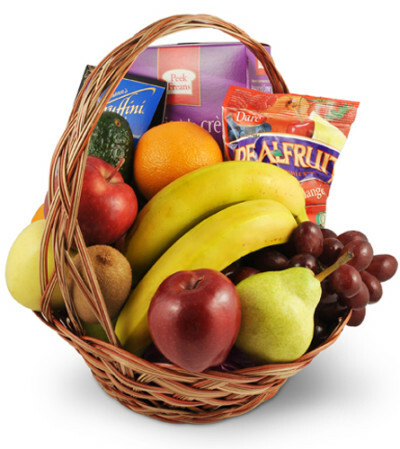 Packed to the brim with a delectable selection of apples, bananas, pears, oranges, and more, along with other assorted snacks, it's a bona fide cornucopia of naturally delicious fruits, all bundled into one convenient basket. A must for anyone who loves a hearty, healthy snack! Sixteen pieces of assorted fruit and three additional snacks are carefully arranged in a basket. 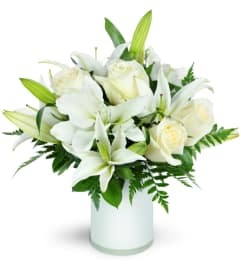 A beautiful peace lily was delivered in a timely manner. What more could you ask?! Thank you. 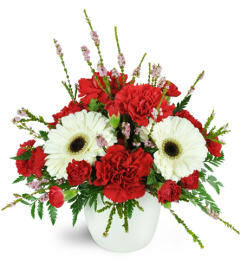 I did not get to see the sympathy arrangement that we sent as we were unable to travel for the funeral. The deceased daughter thought it was just beautiful though. This was great to hear, as you never know what is actually delivered when you order online. Might be an idea in the future, to email the sender a quick pic of the final product before delivery. Thanks so much for all you do!! The flowers are beautiful and much appreciated! 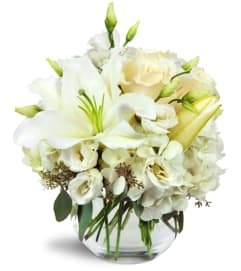 I highly recommend the florist’s choice flowers!